Lincoln: What's in a name? Lincoln: What’s in a name? We all know the basic history of our city: first came the Romans, then when they left came the Anglo-Saxons, then Vikings from beyond the seas, and finally, when they were expelled, Normans. Though how did these various groups really affect Lincoln, and how can we see these influences in our daily lives? While not a complete listing of the history of every street or area of Lincoln, I looked at how the names of streets and neighbourhoods betrays the complex and interesting past of our great city. Lincoln was founded as a Roman fort (and later colony) in the middle of the 1st century A.D. As a rule, Roman settlements tended to conform to a regular pattern, with rectangular walls and straight roads that intersected at right angles. As the reconstructed view of Roman Lincoln shows, the city certainly conformed to these rules. Why then, does modern Lincoln bear such little resemblance to the ancient look of the city? Apart from the remnants of walls, gates and High Street, little else from that time remains. This is largely due to the period following Roman rule, when the shaping of modern Lincoln really began. As the Romans left Britain in 410 A.D., Lincoln experienced a gradual shift of the main focus of the city, from the administrative centre near the present castle and cathedral and towards the river. Uphill Lincoln, where the main civic buildings of the Roman city were, gradually fell into disrepair as the buildings became redundant for anything other than building materials. In fact, archaeological examination of the area has shown that by the end of the 6th century, much of the upper city had been re-purposed for agriculture, with heavy layers of soil over the old Roman street level. This perhaps, best explains the disappearance of much of the Roman street plan of Lincoln. Even the High Street (the Roman Ermine Street) shows the effects of this, as after travelling a straight line for most of its journey through the city, it makes a strange hook at The Strait and Steep Hill before rejoining its original course at the top, where it meets Michaelgate. The shift towards the river also corresponds to a shrinking of the population. This decline, however, was eventually reversed when the Vikings arrived towards the end of the 9th century. From this point, Lincoln once again grew and regained much of its former importance as a strategically-placed trading centre, both to the Vikings and the Saxons who came later. The effects of Norse rule on the city are easily seen in the place and street names which surround us. This is most apparent in the presence of the term ‘gate’ in a street’s name. ‘Gate’ derives from the Old Norse word ‘gata’, meaning street. Names such as Michaelgate, Hungate and Broadgate, therefore, refer not to actual gates of the city’s walls but rather to ‘Michael Street’, ‘Hound (or Dog) Street’, and ‘Broad Street’ respectively. During this period, the main settlements of Lincoln were focused upon the districts of Wigford (literally ‘settlement by the river crossing’ in Old English), south of the river on the High Street and the area around Flaxengate (‘Flax Street’) and Thorngate (‘Thorn Street’, though this was a larger district at the time, near where the Green Dragon pub is today). Following the return of English and later Norman rule, greater emphasis of settlement, particularly by the wealthy, began in the uphill section of the city. Names of the streets also began to take on a more English consistency as well, such as Silver Street and Mint Street, along which precious metals were worked, especially for minting into coins, and Monk’s Road, where a monastery formerly existed near the present hospital. The influence of Norse culture in the city was, however, still strongly felt, as can be seen in Bailgate, which combined the Norman ‘bailey’ or the fortified courtyard next to a defensive position, with ‘gate’, meaning street. 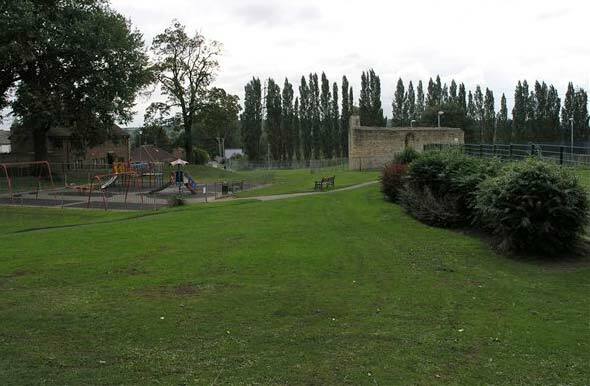 Much of the layout of central Lincoln was settled by the end of the Middle Ages, giving us the layout within the old walls which we are familiar with today. The city, however, has continued to expand outward, first with Newport (‘port’ in this instance means ‘town’) north of the walls in the 17th century, south with the creation of new streets off High Street such as Portland Street and Sibthorp Street in the Victorian period, and in all other directions since. The story of Lincoln is long and complex and each moment in its history has had an effect on how we see it today. The names of our streets portray not only their past, but that of Lincoln.